I love seafood, and I said as much on the White House blog after the announcement. Since the explosion and fire on British Petroleum’s deepwater oil rig, there has been no sign of the 11 missing oil workers. Now attention has shifted to the environmental impact which up until recently, was downplayed since the explosion. Here we have a situation where everyone loses. The oil spill will cost fisheries millions of dollars in lost revenues. 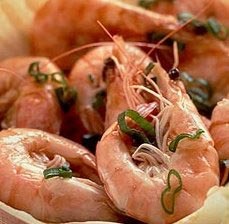 Louisiana opened shrimp season early (6 PM yesterday) in some areas. It may be too late. And of course, wildlife is threatened in the coastal wetlands Louisiana, Mississippi, Alabama, Florida, and Texas. A pungent fuel smell is wafting over much of the New Orleans area, and residents curious about its source have been jamming government phone lines for information. Governor Bobby Jindal (R-LA) issued a state of emergency. Peter Kemp: Those groups and forces that are vehemently opposed to any further opening up offshore will obviously get a boost from this calamitous accident. Think Progress’s Wonk Room has the video and more debunking here. I wonder how that off-shore drilling’s looking to the President now? Well, today on “Good Morning America”, Senior White House Advisor David Axelrod announced that the White House has put a hold on new offshore drilling projects until they get some answers from the Deepwater Horizon disaster. Update: Video from the White House press conference recorded earlier today. So who didn’t see this one coming? I’m starting to lose count on things that ticked or continue to tick me off about Arizona’s governing body: MLK, Jr. holiday, birther bills, showing off high powered automatic weapons in public or if you can hide it under your coat you don’t need a permit, etc. etc. I’m not blaming the entire population of Arizona or the Grand Canyon. I’m sure there are a lot of people ticked off there too. But if I was a foreign national with a lovely sun tan looking for a vacation spot, I’d look elsewhere. See the Grand Canyon from your laptop or try New Mexico. Residents, avoid wearing gold jewelry out in public while strolling the streets of Phoenix. San Francisco gave the first shout out for a boycott based on the racist racial profiling immigration law 1070 passed by the state house last week. I’m all for a sane road to naturalization/citizenship and immigration reform. In fact, I have friends who’ve gone through the proper channels only to have their paper work lost in the system or some other hiccup on the INS end that resulted in the growing backlog of unprocessed documentation. I’m all for decent wages and not for the people benefiting from the crumbs they hand out to undocumented workers while chuckling all the way to the bank at the growing discontent and hostilities of U.S. citizen laborers against all immigrants. I think more people should stand up taller and become more vocal around immigrant rights including the undocumented Irish immigrants in NY and MA who can probably walk the streets of Phoenix today looking as suspicious as they please without being harassed by police. There are winners and losers all around the immigration issue. And as for closing off the 2000 mile border? Good luck with that. There is no border on earth that can be totally closed off without turning into a war zone — military or otherwise. Lately, I’ve been asking people if there is any “movement music” after seeing the documentary “Soundtrack for a Revolution” about the music of the American civil rights movement. Well, let’s see if a movement evolves from Bank Reform. Movement in the musical sense that is. NPR’s “This American Life” commissioned a Broadway song from Robert Lopez (co-writer of “Avenue Q”) to include in their story on how the big banks got the mother load payola from the hedge funds designed to balloon with the bust of the housing market and the crippling of the American middle class. The first car I ever purchased was a 1988 Chevrolet Nova hatchback. It was the “hybrid” of it’s day — a Chevy body with an engine manufactured by Toyota. I spoiled that car. Took it in for its oil changes on time; tune ups. It wasn’t long before every oil change became a diagnosis for some other mechanical problem. Brakes, suspension, and a host of things, I can’t even pronounce. By 1994 the car had starter problems or would cut off while I was waiting for a light change. The car was becoming a money pit. Had I been more mindful of the Spanish language, I would’ve have figured out “No-Va” means “no go.” This made the Nova a marketing disaster for GM in Mexico and other Latin American countries. The following year I bought a Honda Civic. I’ve shamelessly abused this car. I constantly forget to change the oil, and twice the red light has blinked to remind me it’s time to do so. That Honda’s had a few major repairs, maybe 4 total. I left it outside during the blizzard. And it still runs. The American automobile industry, with its assembly line genius, was falling behind the engineering creds of the Japanese passenger car industry. Yet, American cars depended on being the sentimental favorite. “Buy American” was the call to action. The American car and the American dream became both legend and mantra. But as Americans became more independently mobile especially in densely populated areas, they seemed to want their cars to be the same. Toyota, Honda, and Subaru could get you where you wanted to go faster, further, and even size-wise you could squeeze into a parking space. American cars were great for special occasions like proms, weddings, and funerals. Or picking up the elders from church who just hated squeezing into the back seat of your little car. The green movement gave added value to buying more gas efficient cars with its lighter metals that would flatten on impact against an old 70s Cadillac. The consumer was driving the industry then as it did now when the GM bailout was announced (not the first government intervention in the last 20+ years for GM/Chrysler). Layoffs from the plants came in the 1980s as they did in the last several years. Hostilities rose towards the Japanese automakers. Vincent Chin, a Chinese American, was murdered in Detroit in 1982 by Ronald Ebens a laid off white auto worker who presumed Chin was Japanese. Ebens was charged but did no jail time and hasn’t paid the $1.5 million won by Chin’s mother in a civil suit since 1989. No one knows Nitz’s whereabouts to this day. What happens to a dream deferred? Toyota could not compete with the American dream model, but built its reputation on a new generation wanting to take that big leap in the air — “I love what you do for me.” Toyota drivers were “moving forward.” Hey but not this fast! Perhaps the marriage in 1988 between Toyota and GM was intended to be a Rodney King “can we get along” moment joining the sentimental American dream with the forward moving engineering of the new era. I bought it. I thought my Nova was the best of both worlds. But maybe the signs of things to come were in the making. For me, Toyota’s reputation was built on product, and customer approval; not Hollywood images, dreams, or consumer patriotism. But that’s where Toyota may have left it — moving forward but not sticking with what made Toyota popular among customers: dependability. And above all else for any automaker – safety! Toyota won’t be getting the GM treatment; they’ve got some paying to do – $16.4 million in fines for not reporting defects. I don’t know much about cars, but dependability and safety are key for me in that I don’t know much about cars. Ford managed to stay in the game financially and there’s been a lot of switching and selling off. But jobs on the assembly lines aren’t what they used to be. Jury’s still out on the impact of the new market on workers. It may be time to retool the American dream as well. The customer is going to determine what will sink or swim. Now that GM is off the government payroll ($5.8 billion paid in full), and is ready to start their engines again, this time they can’t bank on sentimentality – quality is the place to start. Sure customers attach meaning to their cars. GM, Toyota and others should listen to them seriously and not their CFOs or marketers. It’s the memory of the first car that sets all standards. I want to be remembered as someone who used herself and anything she could touch to work for justice and freedom…. I want to be remembered as one who tried. Below is the schedule of events for the celebration of the life of our beloved Chairperson Dr. Dorothy Irene Height. All events are open to the public and have been staggered so we all have a chance to pay our respects to the “Queen” of the Civil Rights Movement. A limited number of reserved seats (tickets needed) are available for the Community celebration on Wednesday at Shiloh Baptist Church and Memorial/Funeral Service on Thursday at the National Cathedral. Dr. Height will lie in state at NCNW. Family, board members, staff and the community are welcome to come and express their grief and appreciation. A fitting tribute to Dr. Height’s memory. There will be a guest book for visitors to sign. There will be a tented reception outside for family members. Refreshments will be served. Dr. Height will lie in state at NCNW. Again, the public is welcome. Dr. Height will be transported to Howard University. 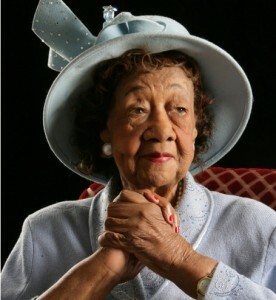 Delta Sigma Theta, Inc. (National) will honor Dr. Height with a Delta Omega-Omega service. Family, Friends, Staff and Board Members are encouraged to attend. Celebration of the life of Dr. Dorothy I. Height. Tributes, proclamations, music, videos; a historical reflection of Dr. Height’s life and accomplishments. Transfer to Ft. Lincoln Cemetery for the burial of our beloved Dr. Dorothy Irene Height.